Wounded at Sharpsburg 9-17-62, Struck by a piece of shell, breaking the 7th and 8th ribs and causing injury to the spine. Wounded slightly at Olustee, Fl. 2-20-64, Gun Shot Wound, had forefinger shot off left hand. Present at time of surrender in NC. Wife; Jane E. Flemming, married Jan 23rd 1868 Cobb Co. Ga.
Pension filed in Cobb Co.
Died: April 1923 Cobb Co. Ga.
enlisted 9-19-61 Hickory Flat, Cherokee Co. Ga. Discharged at Yorktown, Va. 1-3-62, from exposure at Yorktown, disease ultimately cost him the sight in the left eye. Wife; Octavia L. Avery, married 12-26-1872 Cherokee Co. Ga.
Died; 3-8-1908 Cherokee Co. Ga. Admitted Chimborazo Hosp #5, 5-17-62 Debility, transferred to Lynchburg, Va. Wife; Fannie Delaney, married 12-26-1866 Cherokee Co. Ga. Present at surrender in NC, paroled Carnesville, Ga.
Died; 6-1914 Cherokee Co. Ga.
Bell, Francis A 1st Lt.
Born; 11-18-1834 Clark Co. Ga.
enlisted 9-8-61 at Camp McDonald, Ga. Roll Nov/Dec 63 absent on leave 20 days, to purchase supplies for his mother & family, who are destitute, they live in Acworth, Cobb Co. Ga.
See personal papers of John T Harris Lt. Co. F. 23rd Ga. Present at surrender Greensboro, NC. Pension filed in Dade Co. Ga.
enlisted 9-17-61 at Camp McDonald, Ga. Admitted Gen Hosp #9, 10-1-62 Debilitas, transferred to Howard’s Grove, Va.
mustered 8-31-61 at Camp McDonald, Ga. enlisted with Bartow Invincibles 8-26-61 Cobb County, Born in Gwinnett County Ga.
enlisted 11-13-61 at Camp McDonald, Ga.
Died 6-29-62 of Typhoid Enteritis at Gen Hosp #2 Lynchburg, Va. Buried at Old City Cemetery = Lynchburg, Va.
Born: 1-16-1839 Cherokee Co. Ga.
enlisted 11-22-63 James Island S.C.
Res; Cherokee Co. Ga., name also John E or John C, deserted rebel army. Released 6-3-64 sent to Baltimore, Md. Roll Nov/Dec 63 shows absent on Furlough P.O. Acworth, N.C.
enlisted 8-16-62 at Richmond, Va. Discharged Surgeons Certificate of Disability 1-25-62 at Yorktown, Va.
Born in Cobb Co. Ga., 23 yrs, 5’7”, light complexion, grey eyes, dark hair. enlisted 11-1-61 Camp McDonald, Ga. Discharged 1-25-62 at Yorktown, Va.
Born in Pickens District S.C., 5’5”, light complexion, blue eyes, red hair. Admitted Jackson Hosp Richmond, 7-30-64 Amputation left arm near shoulder, furloughed 30 days 9-20-64 to Walhalla S.C. Filed for pension in Murray Co. Ga. Wife: Mary Jane Collins applied for bounty, from Cherokee Co.
Father: Walter N Crandall applied for bounty due his son, from Cobb County Ga.
enlisted 7-15-61 at Camp McDonald and mustered 8-31-61 at Camp McDonald, Ga.
Died 6-5-63 at Kingston N.C. (brother to Joseph above) (single), born in Cherokee, Co. Ga. Captured at Amelia Court House 4-6-65, Released on Oath of Allegiance 6-24-65, arrived at City Point, Va. 4-15-65 sent to Point Lookout Md. enlisted 9-10-61 Cass Co. Ga.
enlisted 8-19-63 at Atlanta, Ga. Wife: Sarah J, married 1867 Allatoona, Ga.
Dodgen in Bounty application by his wife: Mary Jane Dodgen, Bartow, Co.
Died 8-31-63 of wound received at Battery Wagner, Morris Island, S.C.
mustered 8-31-61 at Camp McDonald, Ga. also shows; enlisted 9-15-61 Cobb Co.
Dyre, Josiah or Joel H.
enlisted 4-2-62 at Yorktown, Va.
Edwards, William C 1st Lt.
mustered 8-31-61 at Camp McDonald, Ga. enlistment date 9-5-61 at Cherokee Co. Ga. Killed 5-31-62 in Battle of Seven Pines Va.
enlisted 9-21-61 at Camp McDonald, Ga. Killed 9-21-64 at Petersburg, Va.
mustered 8-31-61 at Camp McDonald, Ga. enlisted in Griffin Ga.
P.O. Woodstock, Cherokee Co. Ga.
Died 8-12-62 Effects: Sundries 1 coat $1.50, 1 shirt .75 cents, 1 pair pants $1.50, 1 hat .5 cents, Mother: Malissa Graham flied Bounty in Cobb Co. Ga.
Died 6-17-64 at Petersburg, Va.
Died in Hosp in Richmond, Va.
enlisted 6-61 Bartow Co. Ga., mustered 8-31-61 at Camp McDonald, Ga. Wounded: Blown up at Petersburg, Va. possibly during "The Crater" 7-30-64), sometime in 1864, from a piece of shell striking him in the shoulder dislocating it. Filed for pension in Cherokee & Bartow Co.'s Ga.
Died: 6-15-1930 Bartow Co. Ga.
Died 12-22-61 at Yorktown, Va.
Harris, John F 3rd Lt. Roll Sep/Oct 63 absent to Cobb Co. Ga. Filed for pension in Catoosa & Whitfield Co.'s Ga.
Born: 5-19-1835 Franklin Co. Ga. Roll for 4-30-64 last on file, shows him present. No later record. Died: Feb 1913 Franklin Co. Ga.
Born: 12-25-1827 Elbert Co. Ga. Wife: Mary Hinton, married 12-19-1867 Bartow Co. Ga.
Died: 1905 Cobb Co. Ga.
Father: Davis House of Calhoun, Gordon County, Ga.
Died 12-7-63 at Brigade Hosp James Island S.C.
enlisted 3-12-62 at Altoona Ga.
enlisted 8-1-63 at Atlanta, Ga.
Died 5-15-63 Born in Ga.
enlisted 3-24-62 Acoustah, Ga./ mustered 8-31-61 at Camp McDonald, Ga.
Home on sick furlough with fever at time of surrender , paroled at Canton, Ga.
Residence = Bartow County Ga.
Left Hosp sick 8-9-63 P.O. Acworth, Ga.
Resident of Cobb County Ga. Filed for pension in Cobb & Fulton Co.'s Ga.
enlisted 8-61 at Kennesaw Ga., mustered 8-31-61 at Camp McDonald, Ga. 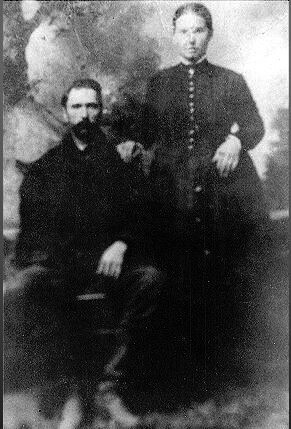 Wife: E J, married 10-9-1859 Bartow Co. Ga.
Died: Jan 1923 Bartow Co. Ga.
Born: 1-28-1834 Habersham Co. Ga. Wife: Margaret A Roberts, married 4-17-1870 Paulding Co.Ga. Filed for pension in Paulding Co. Ga.
Died: 12-20-1908 Paulding Co. Ga. Buried at University of Charlottesville, Va., Wife: Ellen of Cobb County Ga.
enlisted 8-27-61 Cherokee Co. Ga.
Died 3-16-63 in Hosp at Atlanta, Ga.
Mitchell, Robert M 1st Lt.
enlisted Aug 61 at Acworth, Ga., mustered 8-31-61 at Camp McDonald, Ga. Wife: Fannie, married 1-18-1860 at Acworth, Ga. filed pension in Cobb Co. Ga.
On Register of Gen Hosp #9 Richmond, Va. 10-18-62, transferred to Howard’s Grove, Va.
enlisted 10-22-61 at Camp McDonald, Ga. Roll Sep/Oct 63 On extra duty at James Island S.C. Roll Nov/Dec 63 On extra duty with siege train as teamster at Dills Bluff, James Island S.C. Roll Jan 62 Discharged 1-10-61 at Yorktown, Va.
Born: 1837 Bartow Co. Ga. Wife: M.J., married 2-4-66 Bartow Co. Ga.
Died: 5-22-1906 Polk Co. Ga.
enlisted 2-22-62 at Canton, Ga. Admitted CSA Gen Military Hosp #4, at Wilmington, N.C. 12-30-64 Pleurodynia returned to duty 1-14-65, P.O. Hickory Flat, Ga.
enlisted 5-20-62 at Richmond, Va. Wife: Caroline, married 4-11-1872 Cobb Co. Ga.
Died: 8-7-1915 Cobb Co. Ga.
Sargent, Peter K Pvt/2nd Lt.
enlisted 8-30-61., mustered 8-31-61 at Camp McDonald, Ga.
Died 9-14-62 Battle of South Mountain, Md. Wife filed for pension in Cobb Co. Ga.
maybe last name is Chadwick? enlisted 9-13-61 at Griffin, Ga.
Extension of furlough 30 days because of wound destroying right eye and impairing the left Surgeon Gen Richmond, Va. in home at Worthville, Ga. Filed pension in Butts Co. Ga.
enlisted 4-61 Cobb Co. Ga., mustered 8-31-61 at Camp McDonald, Ga. Discharged at Bentonville NC 4-12-65, paroled at Kingston, Ga. Filed pension in Forsythe Co. Ga.
enlisted 3-12-62 at Woodstock, Ga. Admitted Gen hosp Petersburg, Va. 5-28-63 Febris Intermitent till 6-13-63, notes: Paroled Prisoner ordered to Richmond, Va. Captured near Fredericksburg, Va. 5-3-63, by the Army of the Potomac, forwarded to Old Capitol Prison Washington, D.C.
enlisted 9-19-61 at Camp McDonald, Ga.
Died 5-30-64 of disease in Ga. Captured near Fredericksburg, Va. 5-3-63, forwarded to Old Capitol Prison at Washington D.C. Wife: Mrs. J N, married 8-3-1897 Cobb Co. Ga., filed pension Pickens Co. Ga.
Died: 12-24-1916 Acworth, Cobb Co. Ga.